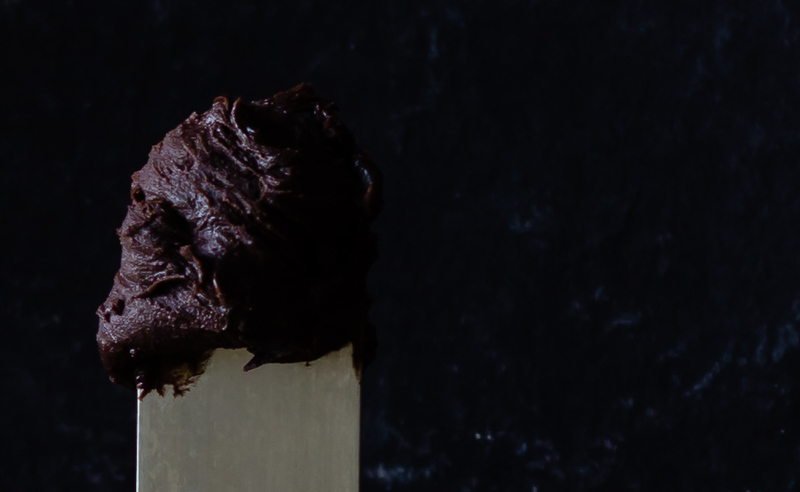 Ganache has such a versatile use and we all have eaten it one form or another. I myself have been making it for various uses for last few years and already have recipe along with those posts. Decided to post a separate one for easy accessibility in basics now. 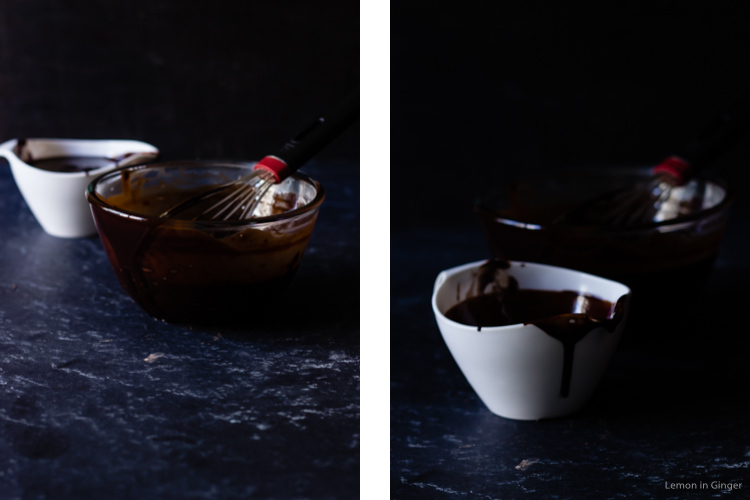 I have used it to fill up a cake, or glazed a cake with it and even made truffles with it. I follow a very basic recipe which I first learned from Joy of Baking. 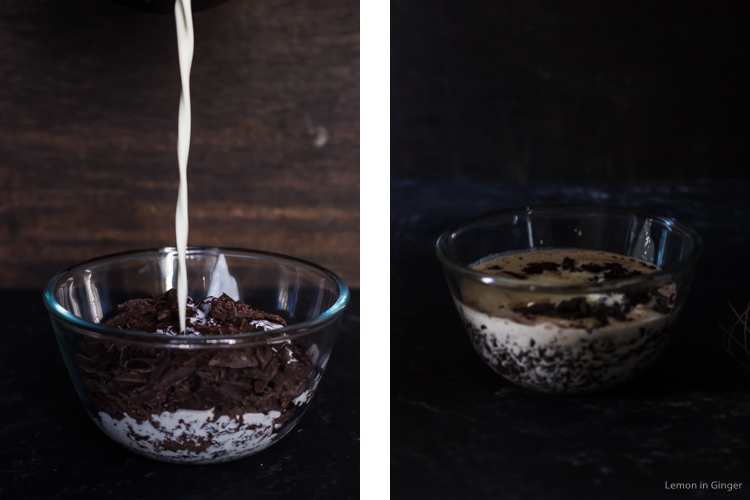 2 simple ingredients of cream and chopped chocolate makes for the best deal. 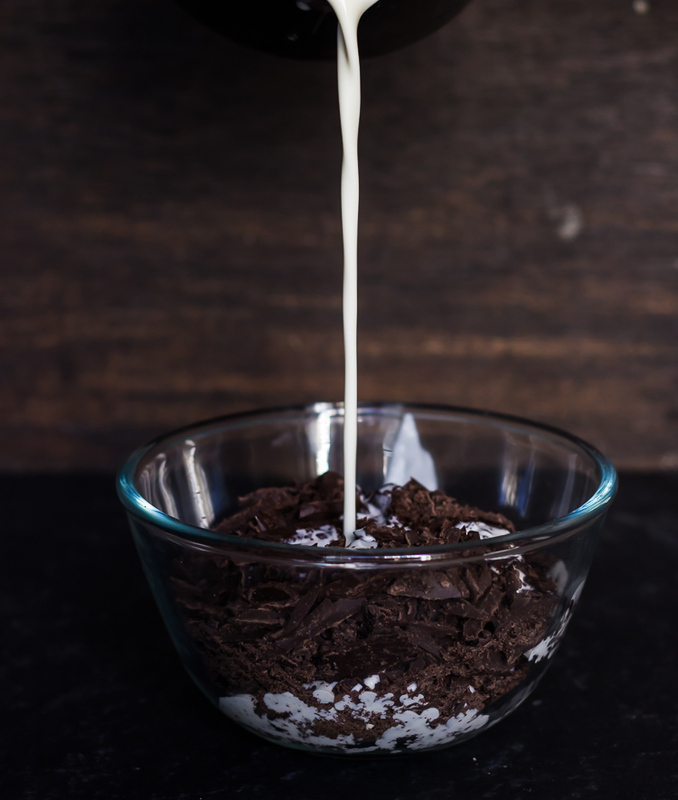 The proportion between cream and chocolate will vary based on the usage. 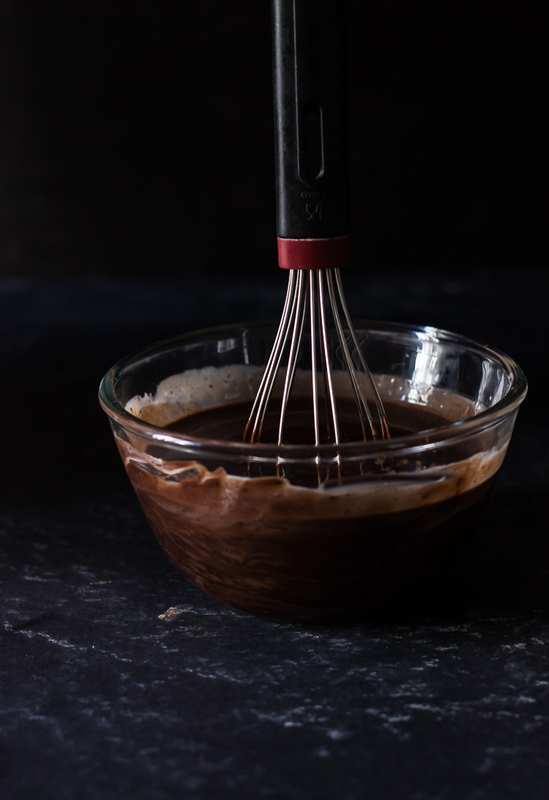 If you wish to use ganache for filling up a cake and thick glaze then the proportion is 1:1, equal parts chocolate and equal parts cream. 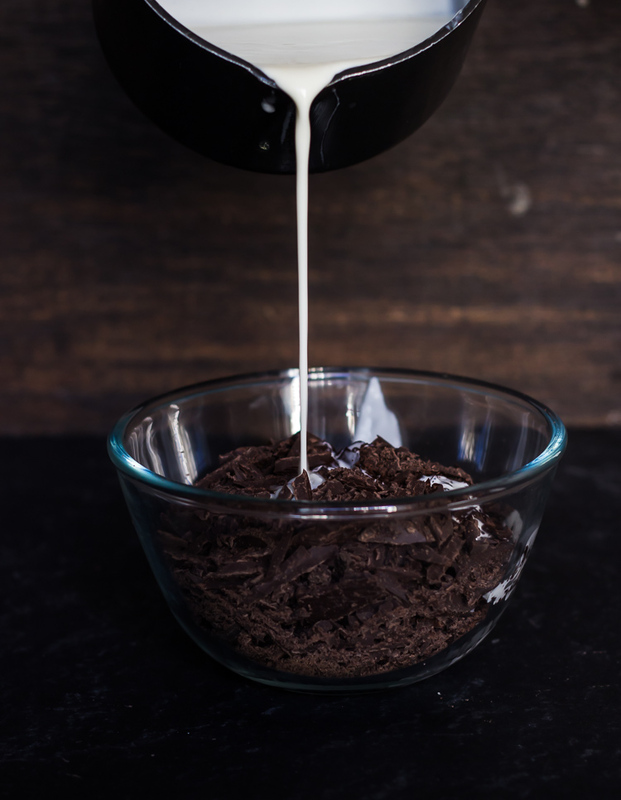 For making chocolate truffles, use 2:1 ratio, with 2 parts chocolate and 1 part cream and for soft icing and pourable glaze the proportion of cream is higher i.e. 1:2, 1 part chocolate and 2 parts cream. For more details on perfect ganache, refer here. 1. 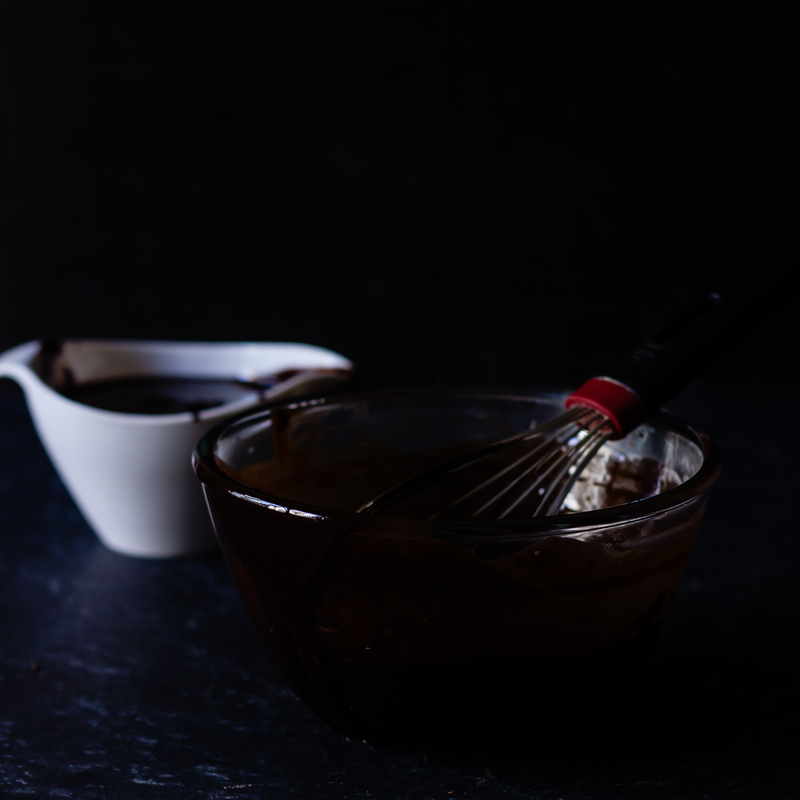 Put chopped chocolate in a large heat proof bowl & keep aside. 2. In a saucepan, heat cream & butter on medium heat. 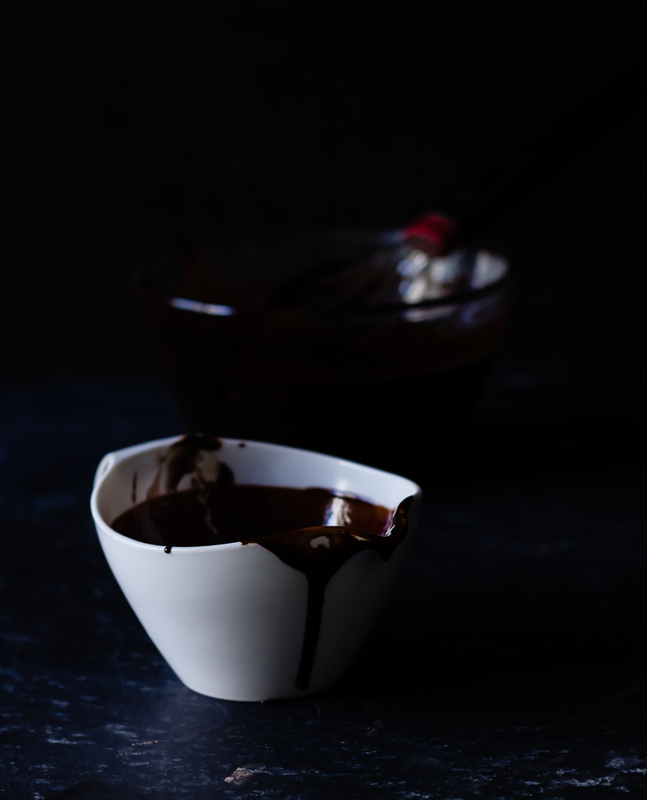 As soon as it starts to boil, remove from flame & pour over chopped chocolate. 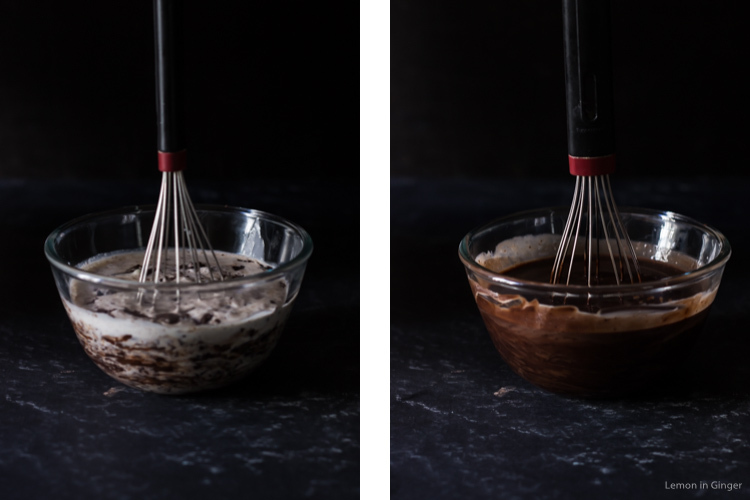 Allow it to stand without mixing for few mins (about 3-4 mins). 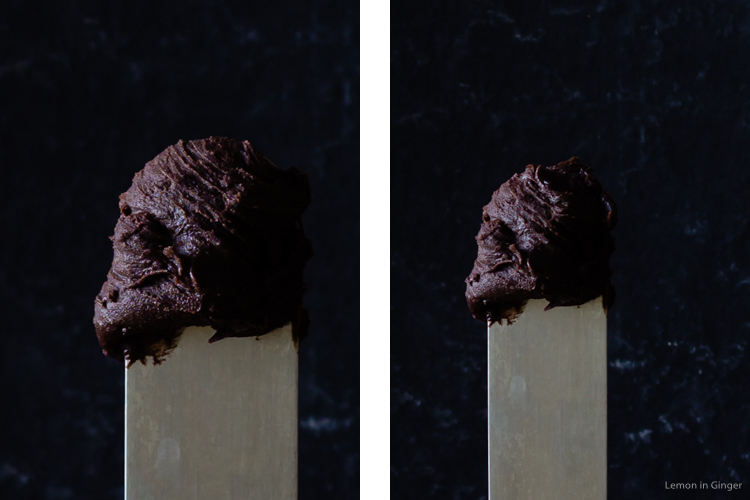 Do not stir as we do not want to incorporate air in Ganache. 4. Allow it to cool down completely & set properly. 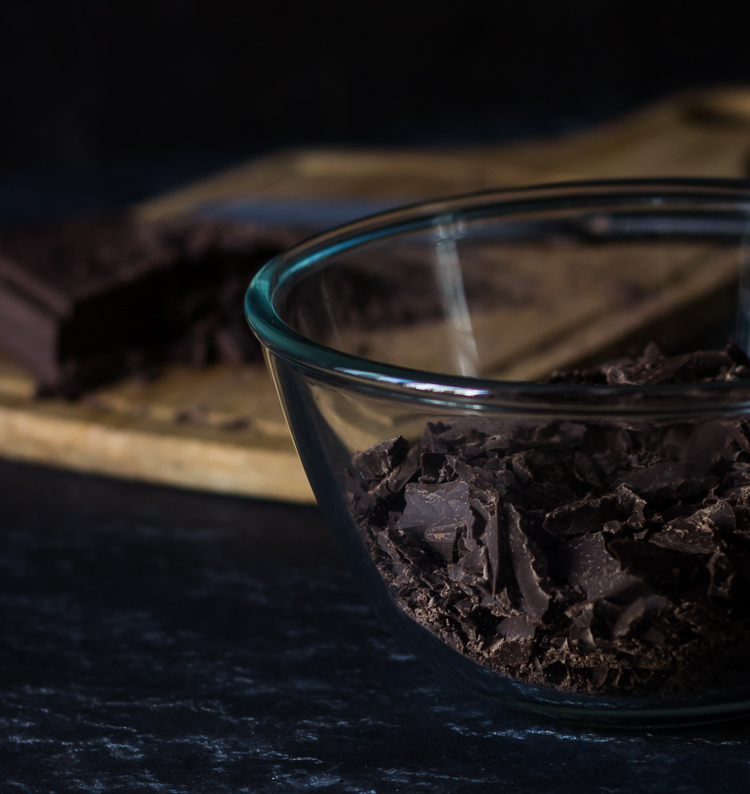 Before storing, cover with a piece of plastic wrap pressed on the top of the ganache so a film doesn’t form.It can be stored at room temp in a cool corner for 2 days & freeze upto 3 months.